Rototech is the ideal solution for fully automatic wrapping with stretch film of products particularly unstable. The ability to keep the pallet still and stabilising products running a rotating arm is often a necessity for many industries. The Rotary family is of superior quality in a technological environment important for end packaging line. This machine has excellent technical and construction and is the ideal choice to run the pallet wrapping reliably and effectively. The control panel is the brain of Rototech 3000, here lies the heart of the machine and technology Robopac ie Multilevel-Control. 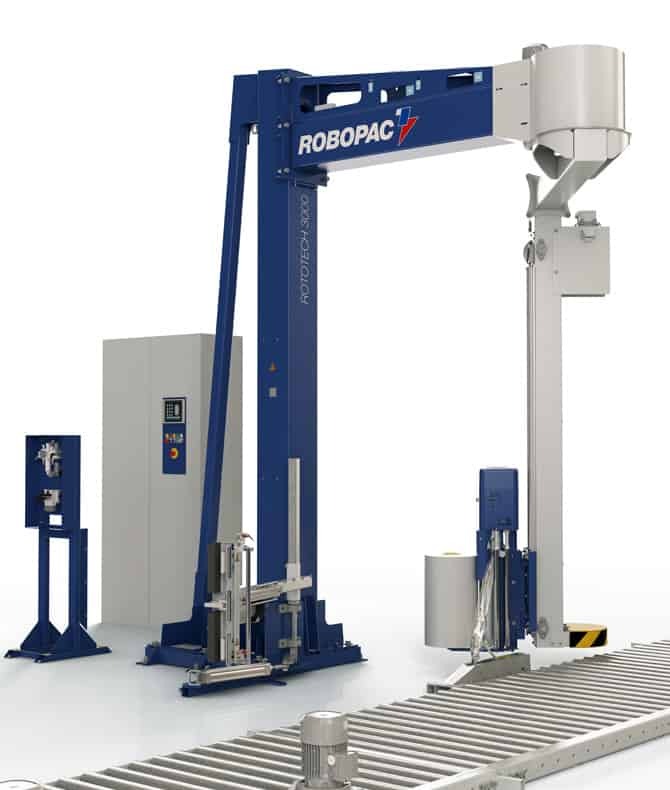 Rototech 3000 is equipped with automatic clamp, cutting and spreading or welding unit . 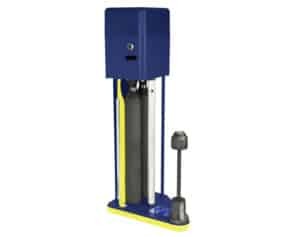 Feature allows a perfect automatic sealing of the film tail at the end of each cycle, layout allows perfect adaptability to virtually any load profile. 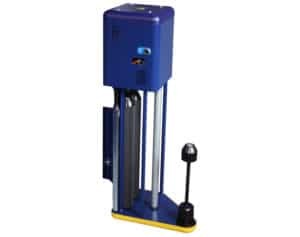 Film clamping unit with automatic tilt to optimise stretch wrapping at the base of the load. The PGS film delivery device is equipped with a powered fixed gear (200%) pre-stretch system. A wide range of additional gear sets can also be purchased (150%-200-250%-300%). The force to load is controlled by string gauge through the control panel.